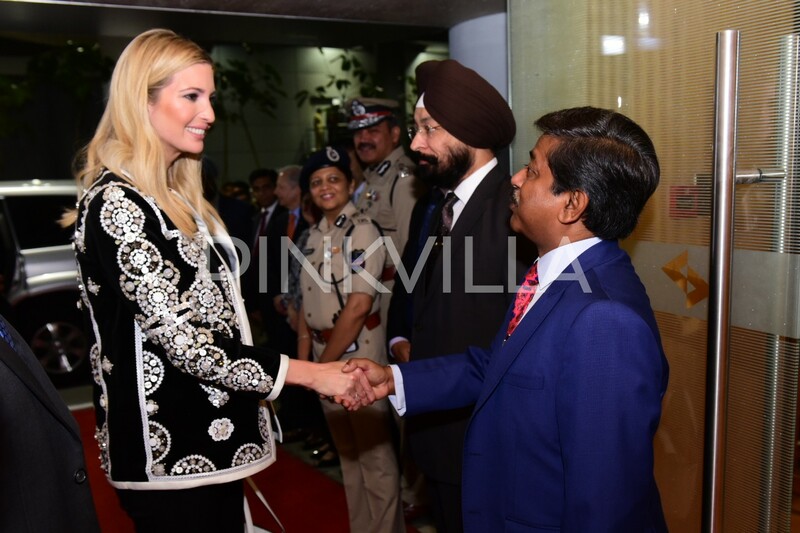 Ivanka arrived in Hyderabad, yesterday, to attend GES 2017. 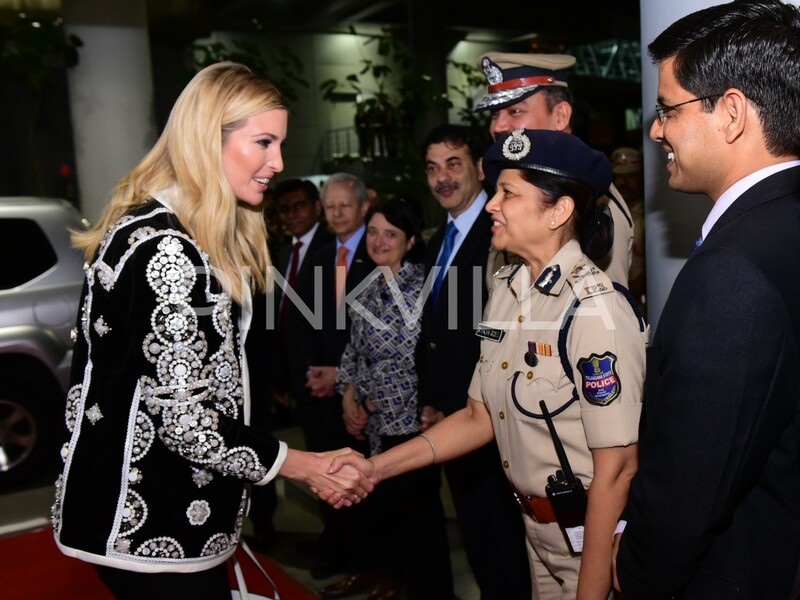 Noted businesswoman and US President Donald Trump’s daughter Ivanka arrived in Hyderabad, yesterday, to attend the 3-day-long Global Entrepreneurship Summit 2017 which is being held in the city for the first time ever. And, as expected, her visit created quite a buzz throughout the country. Shortly after landing in Hyderabad, the lovely lady posed for some pics and interacted with those who had come to welcome her. Sporting a neat and elegant number, Ivanka looked lovely and seemed to be enjoying sights the moment to the fullest. Thereafter, she met Indian PM Narendra Modi at the GES 2017 and interacted with him. Speaking at the event, Ivanka said that women often have to work harder than men in order to make a mark in their respective fields. She added things are not easy for women as they also have to ‘disproportionately’ care for their families. “As a former entrepreneur, employer, and executive in a male-dominated industry, I’ve seen firsthand that all too often, women must do more than their male counterparts to prove themselves at work, while also disproportionately caring for their families at home,” she added. 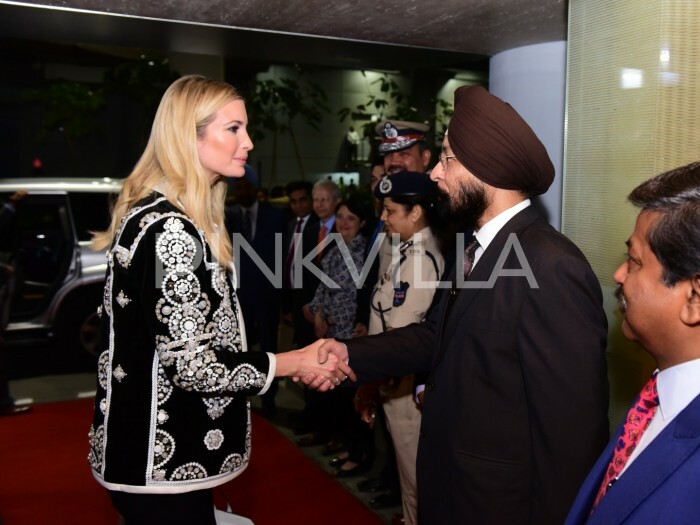 Interestingly, this is Ivanka’s first visit to India as a senior White House adviser. She was invited for the summit by PM Modi during his state visit to the US earlier this year. 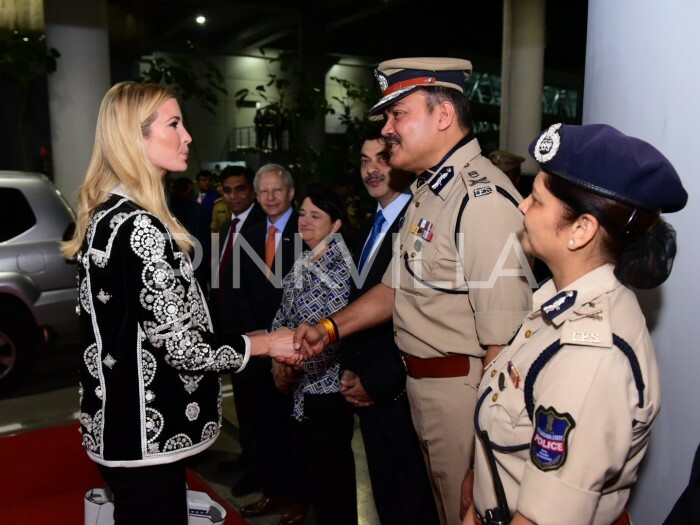 Here are some photos of Ivanka Trump in Hyderabad. So, did you like these photos? Talk to us in the space below. 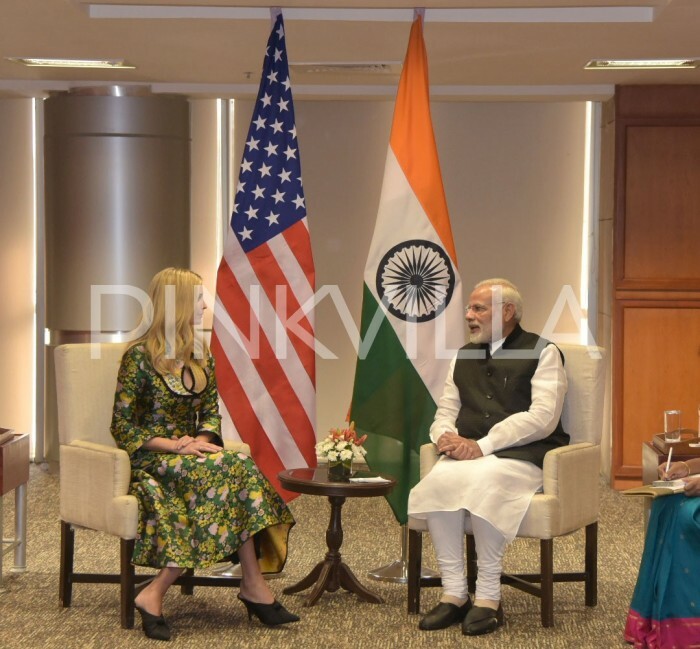 Why do people( usually very well dressed) choose to wear absolutely hideous clothes when they visit India for diplomatic reasons? I love the fact that she wore an oversized jacket…. there is no way a female Janta can wear fitted clothes in india, even as President’s daughter. Kudos. She’s a beautiful and gracious woman.